Taken together, these rules have some consequences, especially if rule 6 (% chance to know) is not enforced. Specifically, given that it is rational to share knowledge between party members, magic-user spell lists often converge as players trade spells. Further, magic-user spell lists grow without bound. The process of spell accumulation is fun, admittedly, but if you enjoy bounded power levels, such accumulation might be suboptimal. If I were starting a new game of TSR D&D (or simulacra), instead I might do something like the following. I would also divide the spells into schools and allow specialists, which would draw their random spells only from the chosen school. Specialists would also gain one extra spell slot to make up for the loss of versatility and represent their focus. Thus, a player that definitely wanted to play an offensive magic-user could opt for an evoker, and be guaranteed to only get evocation spells, at the cost of generality. This would help keep power levels more controlled while still supporting my favorite aspects of the magic-user class (creativity, preparation, being able to bust out a big nuke solution every once in a while). Magic-users could still have access to an arbitrary number of spells through the use of scrolls, but scroll use needs to be more carefully considered since scrolls are nonrenewable resources. It would also encourage more emergent character development as not every magic-user would be able to cast sleep and fireball (to be fair, that is also addressed by % chance to know spell rules, but those rules have other issues, such as increasing the importance of the intelligence score). This will obviously not work well for players that want more control over the development of their character. It is not intended to be a panacea though, and I think it would be satisfying for players that enjoy the process of character emerging from the juxtaposition of randomly determined characteristics and events during play. This entry was posted in Rules and tagged magic-user on July 29, 2013 by Necropraxis. Being a replacement for elven infravision and the first level magic-user spells detect magic and detect evil. Those with the second sight can see many things hidden to normal vision. Such perception often manifests as numinous auras of sometimes indescribable colors. To the second sight, magic-users radiate the presence of their prepared spells and enchanted items crackle with energy or leak glittering seepage. Specific enchantments reveal aspects of their nature visually; for example, a fire enchantment may seem to seem to be wreathed in smoke and smell of ash. Magical sigils seem to drip with esoteric power or burn with inner radiance, though exact interpretation requires read magic or equivalent sorcery. Cursed or doomed creatures are swathed in dark shrouds, or surrounded by horrible, gibbering entities. Magical invisibility is like a blazing beacon to one with the second sight. Supernatural or otherworldly creatures, such as demons, often reveal different aspects or dimensions of their true form, which nevertheless may be too terrible or incomprehensible even for those that can see into the hidden realms. Second sight does not allow the detection of illusions or reveal curses in items that have not yet attached to victims. If the second sight is a natural facility (such as for elves and other faeries), it is always active. This entry was posted in Rules and tagged magic-user on July 26, 2013 by Necropraxis. Because questionnaire lists are fun. Original question source here. (1). Race (Elf, Dwarf, Halfling) as a class? Yes or no? Yes, but I also like the OD&D approach of separating race and class but limiting the classes that specific races can take, and the ACKS approach of creating a number of unique classes per race (for example, the elven spellsword and elven nightblade). Also, the race-classes work well for humans, too (just consider the elf to be the fighter-mage class, for example, or the halfling to be something like a scout). (2). Do demi-humans have souls? Probably not. The real question here is most likely about how raise dead works. My current method requires a successful constitution-based roll (so there are no guarantees), and also results in a permanent stat decrease. I would probably require something different for elves, though elves have not been unlocked as a player class in Pahvelorn yet. (3). Ascending or descending armor class? All the custom rule sets that I’m working on right now use ascending, but I can deal with either. In either case, care must be taken to avoid an arms race of bonus escalation (+5 swords versus +5 armor, and so forth). (4). Demi-human level limits? I prefer overall level limits, like E6, but don’t mind demi-human level limits either. This post by Jeff is worth reading. Most games don’t last so long though, so I don’t have much practical experience here. (5). Should thief be a class? Sure, though campaign seems to do thief skills differently. In my own games, I think thief skills work best when the cost of use in time is clear (due to random encounter checks) and I prefer to consider failure as “no progress” (with a much smaller chance of a critical failure) so that starting thieves aren’t quite so inept. (6). Do characters get non-weapon skills? Generally no, though right now I’m pretty excited about the simple d6 skill system I put together for the JRPG Basic game, and I think this would work well in trad D&D too. (7). Are magic-users more powerful than fighters (and, if yes, what level do they take the lead)? I don’t know; I haven’t seen this cause any problems in play. My preference is usually for low power play though. My understanding is that the whole “quadratic wizard” thing arose from experiences in high level optimized 3E play, which I have no experience with. 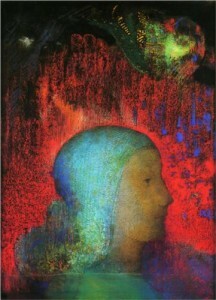 (8). Do you use alignment languages? No, but the idea would work well for the languages of heaven and hell (or the black speech of Mordor). (9). XP for gold, or XP for objectives (thieves disarming traps, etc…)? XP for gold spent seems to have the benefit of objectivity and also (bonus) requires little work on the part of the referee. (10). Which is the best edition; ODD, Holmes, Moldvay, Mentzer, Rules Cyclopedia, 1E ADD, 2E ADD, 3E ADD, 4E ADD, Next? I think B/X (Moldvay Basic and Cook/Marsh Expert) is the tightest and most approachable. OD&D has a lot of hidden virtues, and in some ways has my favorite engine. It requires a lot of work to fill in the gaps though, which is both a benefit and a drawback. AD&D has some inspirational content (DMG demon generator, Fiend Folio), but as a whole is way too complex for me, and begins many negative trends, such as making ability scores too important (and thus making randomly generated characters less attractive to play). 3E had a lot of good ideas for streamlining game mechanics, but became too much about character optimization. High level characters also differ too much in power from low level characters (I prefer a more gradual power curve). 4E also introduced some innovations, but it homogenizes the classes too much in pursuit of balance, rests too much on numerical illusionism, and requires miniatures to get full use of the tactical depth available in the rules. 5E has some useful concepts like bounded accuracy, and interesting mechanics like advantage, but it remains to be seen what the final product will look like, and whether the modularity will support a game simple enough to appeal to me. My favorite D&D art is probably from Moldvay Basic, AD&D, and some parts of 2E. Bonus Question: Unified XP level tables or individual XP level tables for each class? Either way. I’m tempted to just have everyone use the fighter progression, even in older games, because I don’t think it really matters. This entry was posted in Uncategorized on July 25, 2013 by Necropraxis. I have been reading Tenra Bansho Zero, and it’s really interesting to see how religion is handled in the default setting. Unlike most non-historical western RPGs, each of the religious groups has a very specific real world antecedent that should be immediately recognizable by those that are familiar with Buddhist history. Phoenix Sect. Tiantai/Cheontae/Tendai Buddhism; most institutionalized. 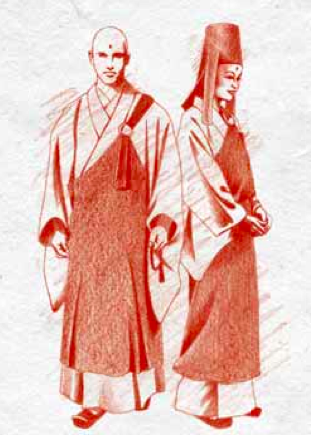 The Phoenix Sect is accepted as “official” Buddhism by the Shinto techno-priest overlords of Tenra. Mt. Hiei is obviously the inspiration for Suzaku Mountain. Ebon Mountain. 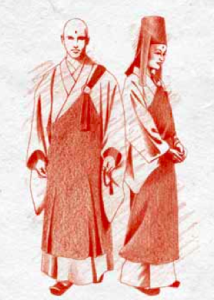 Chan/Son/Zen Buddhism, concerned more with individual enlightenment, also most associated with martial arts. Bright Lotus. Pure Land Buddhism; salvation through recitation of a mantra. Popular with common people due to the accessibility of the teachings. How many western RPGs create fantasy versions of Christian sects? Not many. The reason is probably rooted in the satanic panic, but it is nonetheless odd that the west is more sensitive about tapping directly into religious heritage for fantasy inspiration, preferring to go the safer route by appropriating things that are at least one level removed from direct religious practice. There are some stirrings of deviations from this tendency (for example, the 30 Years War setting for LotFP’s Better Than Any Man, and this post about Biblical mythology from Beedo, though it is worth noting that both of these are more directly historical than Tenra). The Books of Pandemonium, by Rafael Chandler, about a war between heaven and hell on earth, might fit the brief, though I haven’t read it myself, so I don’t know how directly it draws from Christian doctrine. This entry was posted in Uncategorized on July 24, 2013 by Necropraxis. Within the setting, golems fill the role of giant robots, mecha, built minions, malevolent constructs, and even adventure locations. The golem wars serve as a landmark setting element, which can be incorporated in a number of different ways depending on the particular campaign. Golems will also be the basis of at least two upgrade classes, the golem crafter and golem knight. They will likely interface with spell crystals and mana somehow, though I haven’t totally worked out those game systems yet. The “JRPG Basic” project now has a real name: Gravity Sinister. Golems are constructs fuelled by magical energy. They have dramatically different forms and powers based on the materials used for their manufacture and the skills of their creator. The first golems were originally created by mages as servants. As the art form of creating golems developed, it became more specialized, requiring practitioners to dedicate their entire attention to the crafting of magical automatons, to the exclusion of other kinds of magic. Such mages became known as golem crafters. The use of golems spread as their power was discovered. This led to the creation of golem armies, used by wizard lords to conquer vast swaths of land. The destruction wrought by these powerful constructs in service of war was great, toppling kings and forging empires. However, the real danger posed by golems came later, as many living mages lost control of their automaton servants, their will usurped by the spirits of long-dead arch-mages. What ended the tyranny of the golem kings is unknown, but in the wake of the golem wars, creation of golems has become anathema and is looked upon with great fear. Golem crafters thus rarely advertise their skills. Many ancient golems still moulder (or lurk) in unexplored ruins. There are several different types of golem. The first golems were simple, mindless constructs which could be directed by mages to do specific tasks. They had minimal intelligence, and usually required continual magical attention, like remote controlled robots. Despite this limitation, some puppet golems can be immensely powerful. Puppet golems are still created, but due to the stigma attached to golem creation, they are usually disguised. The next evolution of golems was as spirit prisons. Golem crafters learned how to prepare a mechanical body so that it could be inhabited by a spirit. The conjuration and binding of this spirit was an elaborate process. Wise mages learned how to strip most of the individuality from the bound spirit, leaving a pliable, but still intelligent, core. Host golems do not require continual direction, but are still mentally inflexible and lack initiative. Hosts continue to follow their programming for eternity if they outlast their creator, which many do. The golem shell is an animate, motive creation, with will supplied by some external source, such as a mage. However, as essentially platforms for consciousness, golems are also susceptible to other influences, as was learned when the first banished lich spirit figured out that a golem was a perfect foothold in the material world. 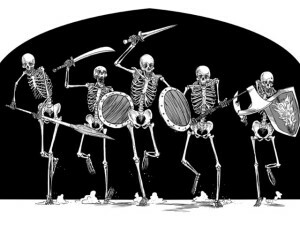 Though undead mages are the greatest of such spirits, kept alive by pure force of malevolent will, other unquiet incorporeal undead can also occupy incorrectly created (or damaged) golems. Such undead spirit possessed golems are called haunts, and often become slowly twisted to reflect the nature of the undead spirit, such as the bony skeletomaton, haunts possessed by spirits so old they have lost all but the most basic will, or the ravenous, golems possessed by hungry ghosts which seek unending gluttony, despite being unable to digest mortal remains or ever truly derive sustenance from eating. Some powerful haunts have strange necromantic powers, such as the ability to animate corpses or summon other undead spirits. Most sophisticated golems that remain have become feral, either through hatred of humanity for past servitude, insanity from long entrapment in ancient ruins, or corruption by demonic entities. Sages speculate that the strange energies released by meteorfall have contributed to the aberrant behavior of unchained golems. Some feral golems are engines of destruction, attempting to reduce anything in their path to ash, while others are more devious, hunting conscious beings for their own, inscrutable purposes. All are extremely dangerous. The component parts of feral golems can still be quite valuable to a skilled golem crafter though, so despite the danger, they are still sought out be the reckless and greedy. Once the creation of more autonomous golems was forbidden, the golem crafters turned their considerable intelligence toward other ends, and carapace golems were born. These golems require a pilot and can do nothing without a conscious driver. Special seals are built into carapaces so that they can only be operated by a particular individual, limiting the danger and creating a special caste of attuned operators. They are similar in some ways to the earliest puppet golems, but do not require magic on the part of their operator to control. Instead, they bond mentally with their users and augment their capabilities. The nature of this connection varies from carapace to carapace. In some cases, the carapace provides little more than an adaptable exoskeleton, but other carapaces interface directly with the nervous system of the pilot, providing access to golem vision and other magical senses. There are stories of pilots becoming lost in their carapaces, fusing with the magical construct, and transforming into a new, hybrid form of biomagical life. Carapace golems are the only form of golems that are not generally considered forbidden, and some golem knights are greatly admired for their skill and bravery. Husks are golems which retain some of their motive force, but have become otherwise alienated from most of reality. Previous programming has been lost or warped, and if they were ever once conscious, that intelligence has been buried or destroyed. Husks are rarely dangerous, but often have strange fixations, such as arranging rocks in piles, staring at waterfalls, copying the motions of animals, or building intricate structures for unknown purposes. They rarely acknowledge or interact with anything living. Some husks have become integrated into the natural world, such as the great pollenating husks, which serve as a vital part of the mobile forest ecosystem. Huge, moving war machines were the pinacle of golem creation during the golem wars. Most were destroyed or sealed away by those fearful of their terrible power. Despite their great complexity and power, the basic design of a moving fortress is similar to a carapace, though often requiring many mages and pilots to coordinate the actions of such a titanic construct. There are also stories of moving fortresses possessed by demons, or attaining autonomy through their own complexity. Golem crafters still argue about whether such things are actually possible, or just legends spread by those that fear the use of golem craft. This entry was posted in Uncategorized and tagged JRPG Basic on July 22, 2013 by Necropraxis. Talysman had this idea about universal first level, the core of which is that all PCs start with the capabilities of first level in all four main classes. That is, a first level character is sort of like a multi-class character that can use all weapons and armor, can prepare one spell, can turn undead as a first level cleric, and can use all thief abilities as a first level thief. However, when advancing, the player must choose a class. Characters never lose those first level abilities, but must choose which set of abilities improve (by advancing in a particular class). Here is my take on a similar idea, called the adventurer class, which is meant to be the only class available. Yes, this does defeat the underlying idea of class, but that’s okay. It’s a way to play “classless” D&D without actually changing the rules much. This class is probably slightly more powerful than most classes, but definitely weaker than the B/X elf, and maybe weaker than the traditional cleric. If only this class was available, I would use the fighter XP chart (because it is the easiest to remember), but if in mixed company (such as FLAILSNAILS) it would probably make sense to use the magic-user progression (for balance). In a certain light, this adventurer class looks like another take on the thief. It could be played in many different ways, depending on the ability scores and choice of equipment. I think it would work well for a swords & sorcery setting. A martial (but stealthy) Conan type would be easy to construct, as would an agile failed wizard’s apprentice (like the Mouser), or a doomed swordsman warlock (Elric). A character with good physical stats would lean toward the fighter archetype, whereas one with high intelligence will be better at magic (due to the intelligence check scroll magic system). The skill point system is designed so that only one skill choice is needed per level. It still allows individualization, choice, and progress, without the problems and complexity introduced by character builds and optimization. Intelligence checks for magic use is intended to introduce some uncertainty into sorcery without requiring a heavy mechanical system. Also, given that magic must be found, it avoids the information overload potential of the magic-user class. Most sorcery being consumable (scrolls) avoids the power inflation problems of magic in a campaign (for those of us that enjoy the creative problem solving encouraged by low power campaigns). The adventurer does not have the cleric’s turning ability, but can accomplish cleric functions with scrolls of protection, holy water, and healing potions. The adventurer uses the skill system created for the JRPG Basic game. Basic skills (climb, listen, search, and stealth) begin at 1 in 6. Expert skills (devices, locks, and steal) begin at 0 in 6. The force skill is 1+STR in 6 and may not be improved. Adventurers gain 1 skill point at first level which may be allocated to any of the basic or expert skills. Another such point is gained every time an adventurer gains a level. No skill may be raised above 5 in 6. Medium (chain) armor penalizes skills other than force by 1. Heavy (plate) armor penalizes skills other than force by 2. Adventurers have the ability to cast spells from scrolls. To do so, an adventurer must make a successful intelligence check (1d20 less than or equal to the intelligence score). On failure, the scroll is not consumed, and the magic may be attempted again later. 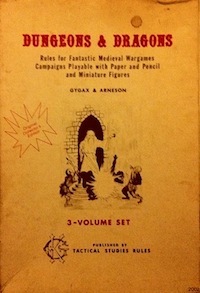 Adventurers may also use all magic items. At first level, and when gaining a level, an adventurer gains +1 to the ability score of the player’s choice (max 18). This entry was posted in Rules and tagged class on July 18, 2013 by Necropraxis. I’m a black mage! Deal. Here are the first ten white magic spells. I will probably expand the descriptive text slightly in the final version, but I want to maintain concision. I’m not sure exactly what the best way to present the requirement for spell check rolls (which are, recall, 1d20 +level +WIS, for white spells). On the one hand, I don’t want to clutter up all the spells with boilerplate like spell check WIS vs. magic defense, as I think it is obvious from the context. On the other hand, I do want the intent to be clear. Spell contest to cancel all damage from a single target elemental spell, which need not be targeting the caster of absorb. Gain one temporary mana if the targeted spell is successfully absorbed. Make a spell check (versus an enemy’s attack roll) to deflects mundane missiles directed toward the target of barrier. Mundane missiles include arrows, sling bullets, spears or snow balls, but not boulders. This effect works as an interrupt, but unlike most interrupts does not count toward the standard one interrupt per round limitation. Dispel magical fear in all nearby allies. If sustained, grants a continuing +2 bonus to morale and saving throws versus fear. Target regains 1 HD +WIS HP. Deals 2d6 +WIS damage if cast against an undead target (half damage on miss). Choose an element. Target gains +1 to saving throws against that element and damage reduction equal to the caster’s WIS to damage of the chosen elemental type. Conjure a powerful blast or single target vortex of wind. This wind is strong enough to knock over a charging horse. Vortex will do damage to a flying creature (damage-2d6, half damage on miss). On a hit, the vortex will also knock the flying creature out of the sky. Magical light radiates from the crystal. This light illuminates as a torch and wards against creatures of shadow. Spell check +WIS versus magic defense forces any affected undead to retreat from the caster. If sustained, any undead affected will retreat before the caster (though they may still fight in melee). The caster must spend another point of mana and make another spell check if more undead are encountered, thought the previous repel effect is maintained. A medium sized mundane object may be mended or restored to working order. Restore will knit together a cut rope, straighten a bent sword, or repair a broken vase. Restore does not allow a new object to be created from disparate parts. Magically lock a door or gate. The spell must be broken for the portal to be opened (picking a lock, forcing a door, or massive damage will not work). 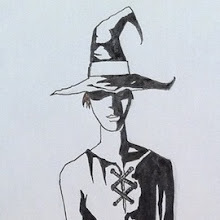 This entry was posted in Rules and tagged JRPG Basic, magic-user on July 17, 2013 by Necropraxis. Because this post idea by Reynaldo is too good not to bandwagon, here are a list of the video games that have most influenced my tabletop RPGs. I don’t have nearly the knowledge of obscure games that Rey does, so most of these are probably not new to you. I am not actually (and have never been) a very heavy video game player, and my attention span for video games has gotten shorter as I have gotten older. Video games have always been primarily of interest to me for tabletop gaming ideas rather than as independently valuable experiences. Partly because of that, I enjoy watching interesting games being played almost as much as actually playing them myself (is that strange?). I haven’t played any of these games within the past 10 years, so I’m going almost entirely from memory. I have ranked the games based on how much they have influenced me, not in terms of their quality. A few honorable mentions that don’t quite make the final list: Mega Man, Castlevania, Golden Axe, Diablo, Diablo 2, Final Fantasy XII, Shadow of the Colossus, Ōkami, Mass Effect, Dragon Age: Origins. Those have all influenced my tabletop RPGs also, but not quite as much as those listed below. 11 – Tunnels of Doom. This may have been my first RPG, period. It ran on the TI-99/4A, which was kind of a proto-console, half pretending to be a full-featured computer as well. It is about as simple as a dungeon crawl game can be, but wandering around and finding magical fountains still fired my imagination. 10 – Resident Evil. I didn’t play this game much myself, mostly because it was hard and I wasn’t very good at it (particularly the manual aiming). Luckily, I had several friends who did like playing it, and so I got to watch it being played extensively. The mix of exploration and slow-burn survival horror was a huge influence on me. 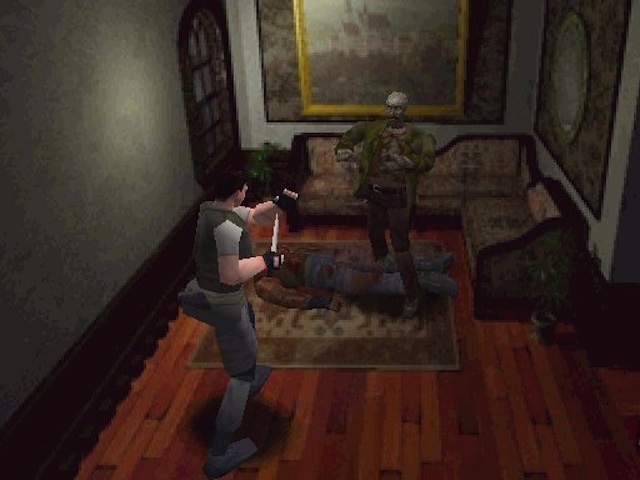 I specifically remember running an adventure centered on an inn that was taken over by plant-zombie doppelgängers that owed a large debt to RE 1. The more recent sequels seem to focus more on cut scenes and plot to the detriment of exploration and mood, which is unfortunate. 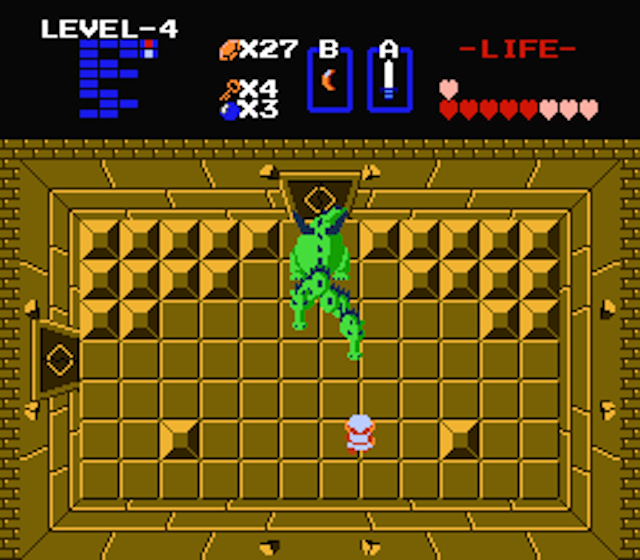 9 – The Legend of Zelda. The spareness of the original Zelda left a lot to the imagination. I still love the understated puzzles that don’t announce themselves as puzzles and the various ways to modify the environment (such as bombing the walls). It’s also a great example of open sandbox design with multiple areas available, though I don’t think I noticed that back then. I still have fond memories of the shiny gold NES cartridge. 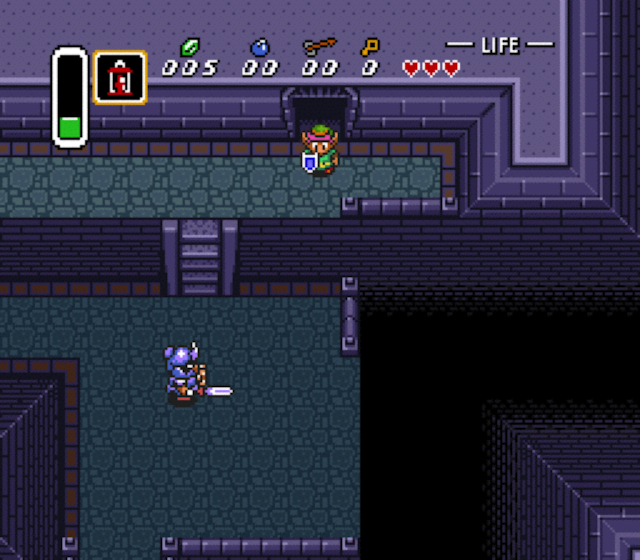 8 – The Legend of Zelda: A Link to the Past. Probably the first game that started to get me interested in the possibilities of modal dungeons (for example, flooding or draining in order to gain access to new areas). The dark mirror world concept is something that I would like to work into a tabletop RPG, especially if it could be done in a more structural way than 4E’s Shadowfell (I’m thinking about needing to map various areas and maybe find entrances back and forth to shortcuts or access routes). 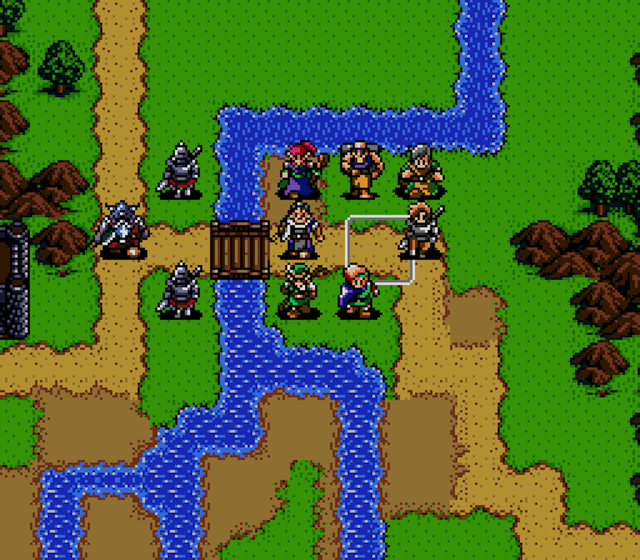 7 – Shining Force. 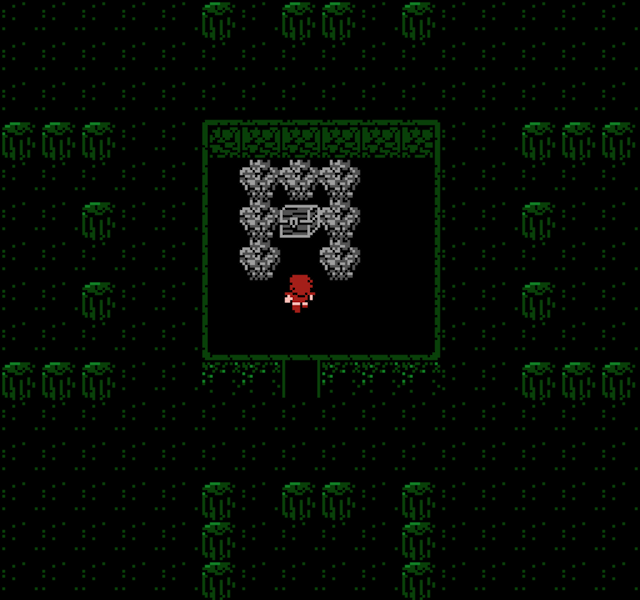 A characteristically JRPG mix of fantasy and weird technology. Has ways to upgrade character classes. 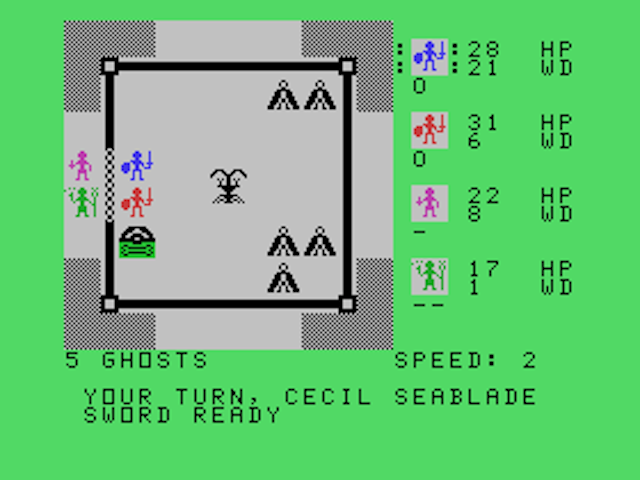 Most notable is probably the grid-based combat system which runs full battles rather than the more common abstract group on group skirmishes as used by most other video game RPGs of the era. This series was the reason to own a Sega Genesis console. 6 – Final Fantasy VII. Amazing techno-magical setting realized with stunning painted backgrounds. Great atmosphere, with most of the expected Final Fantasy elements (summons, chocobos, airships, Cid, etc). 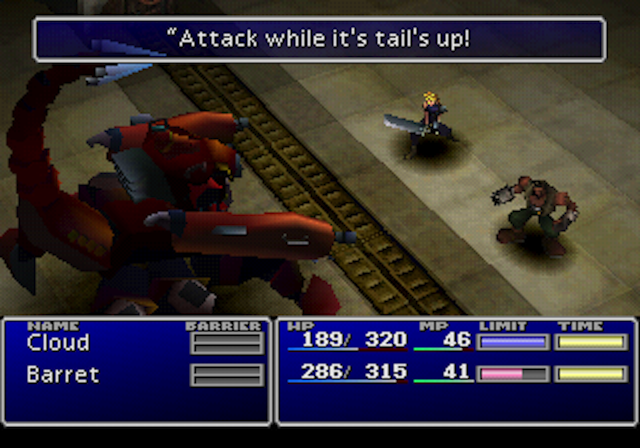 FF VII walks up to the edge of seeming too modern (a problem for me in some of the later games in the series, such as X and XIII), but in the end seems to maintain a balance between technological and fantastical elements. The story gets somewhat lost in grandiosity by the end (I’m still not sure how all the parts are meant to connect), but that doesn’t take away from the tremendous aesthetic achievement of this game. The sense of brooding menace that the best sequences in this game evoke is probably what influenced me most. Something like limit breaks would be fun to incorporate into tabletop RPG classes. 5 – Final Fantasy IV. Probably the first video game I played that actually had a good story. Most of the characters are actually interesting. Also, you get to go to the moon. And transform a character from dark knight to paladin. 4 – Tomb Raider. The original Tomb Raider is almost my ideal dungeon crawl game, despite the lack of fantasy elements. The underground locations have an open, expansive feel and are an interesting mix of natural caverns and built complexes. 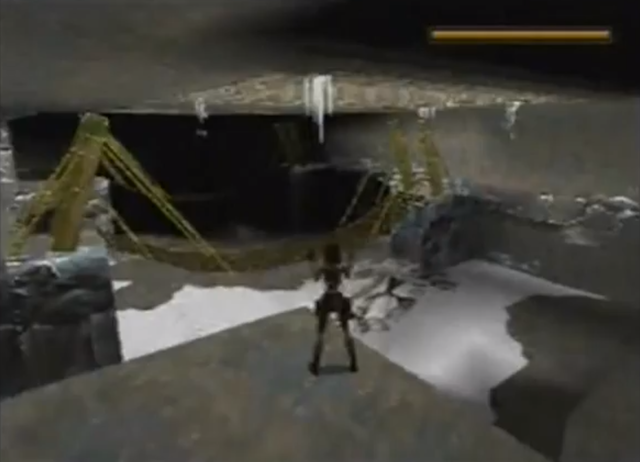 Like A Link to the Past, many of the Tomb Raider puzzles also involve things like flooding areas or activating bridges. The separation of the look controls from the aim controls also made the game feel just as much about exploration as about killing enemies, which was rarely the focus (though there were a few boss monsters). I’ve been playing Tomb Raider 2013 recently, which is also an excellent game, though the experience feels more linear than TR 1 (despite the fact that TR 1 is, objectively speaking, probably more linear due to the level sequencing). 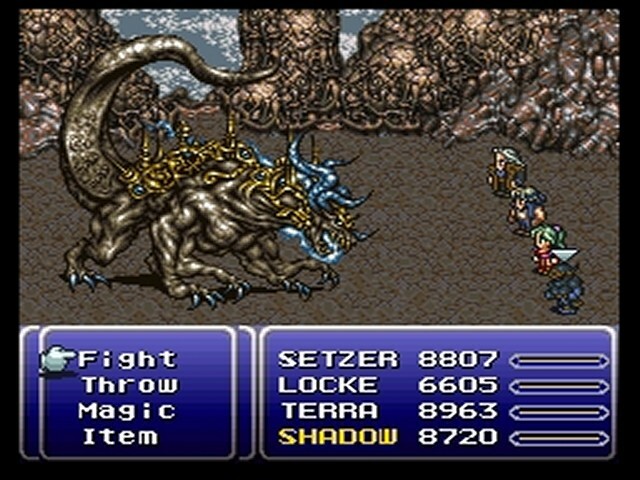 3 – Final Fantasy. The original. This is the first video game I remember beating. It has far more traditional fantasy elements than most of the later Final Fantasy games (more elves and dwarves, less mecha). In retrospect, it’s quite linear, with quest A leading to quest B, and rarely any choices even about the order in which to do things. Despite that, it’s still a great game, and has a simplistic though fascinating cosmology of elemental fiends, which has persisted in modified form through many of the later games in the series. I used my Nintendo Power strategy guides pretty much as D&D supplements (somehow). 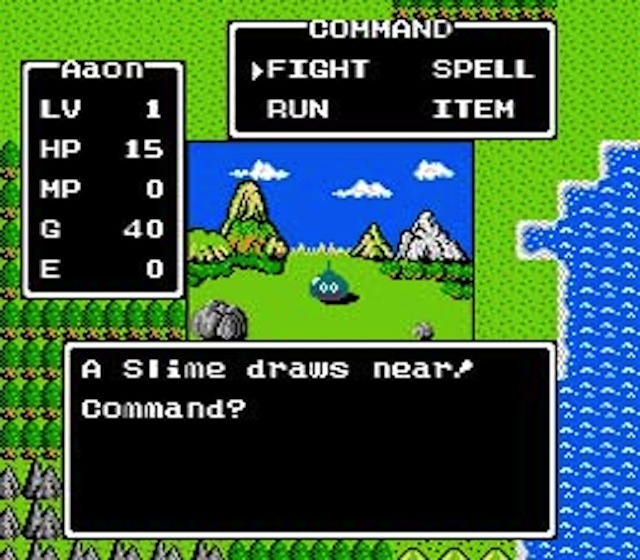 2 – Dragon Warrior. An extremely simple game, but somehow so satisfying. Totally unique style without resorting to “metal” or spectacle. It has an almost pastoral feeling, while being legitimately difficult (and also somehow avoiding being frustrating) at most points. 1 – Final Fantasy VI. A perfect blend between the more traditional fantasy of earlier FF games and the technology of later games. Halfway through the game, there is an apocalypse followed by a whole new game. A coherent storyline, even to the end, with fantastic characters, which is something that got lost in many of the later games. Though Final Fantasy XII, for example (which is the most recent FF game that I have played through to the end), has beautiful settings and character designs, is there even one really interesting character? FF VI has plenty of fun mini games that don’t seem to take away from the main game (esper collection, the arena, unlocking secret characters). I still find some of the music from this game haunting, and I don’t think it’s because of nostalgia. This entry was posted in Uncategorized and tagged video game on July 15, 2013 by Necropraxis. Here is an abstract system for managing combat options that hopefully provides trade-offs regarding risk and effectiveness and interesting tactical choices. I think this system has intuitive guidelines for attempting things like breaking off from combat, or setting up a surprise attack, which are often somewhat hard to handle when not using tools like grids or other cumbersome procedures. These are only part of the combat rules. The initiative and turn taking procedures are still to come. 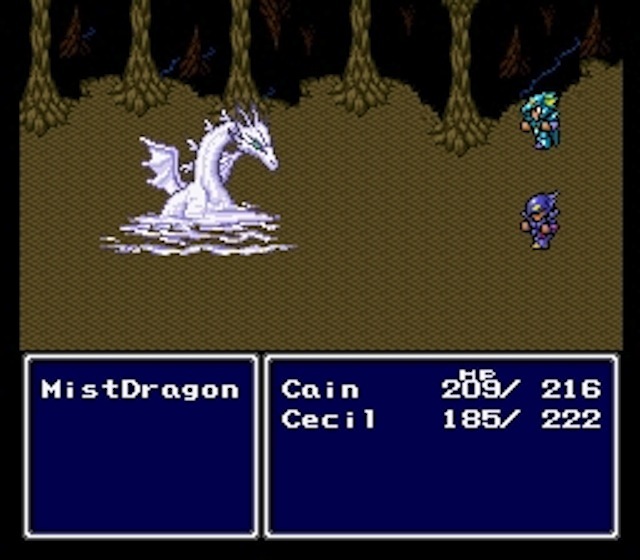 Many early JRPGs make a distinction between frontline and rear combatants. For now, I don’t think this distinction deserves separate positioning rules, as it can be handled by the intercept rules (a character that is protected by an interception is much like a “rear” combatant). It may be worthwhile to add more depth to reach weapons, though. I may formalize some of the terms that are currently handled more descriptively. For example, I was thinking of calling casting spells or firing missile weapons while engaged in melee a perilous action, but I also don’t want to fall into the trap of legalism. Rules for cover at ranged position will probably also be added later (which may end up just being a simple AC bonus, as is probably familiar from other games). The relationship of combatants to each other in battle is managed by abstract positions. These postions determine the combat options available and restrict movement in certain ways. Combat positions include ranged, melee, and concealed. The lists of actions provided should not be considered comprehensive. Anything may be attempted. The referee should adjudicate the outcome using the action examples given as a guideline and call for ability checks, contests, or saving throws as necessary. 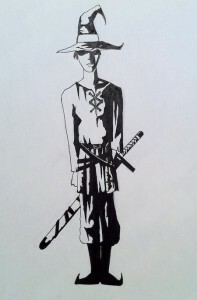 Particular class abilities or skills may provide additional options, such as a thief’s ability to use the steal skill. See the relevant ability description for details. In general, attempting anything other than attacking in melee should probably be subject to a saving throw to avoid damage (following the example of firing a missile weapon while in melee), though more latitude is reasonable for combatants in ranged position. Combats begin with hostile participants in ranged position relative to each other. Ranged attacks may be targeted against specific ranged enemies, but targets are determined randomly if firing into a melee. Characters in ranged position are drawn into melee if attacked by a melee combatant using a melee attack. Not all characters in ranged position are necessarily subject to melee attacks, however. For example, a combatant on a balcony above a room, firing arrows down into the room, is not subject to most melee attacks, and thus cannot be drawn into the melee barring special circumstances. Melee includes all characters in a limited, abstract space attempting to physically harm each other. Exact positioning is not tracked. Ebb and flow is assumed as combatants jockey for advantage and defend themselves. A melee attack against a character outside of melee that is not intercepted draws the target into melee, whether or not the attack was successful. Characters in melee may retreat from the melee to ranged position as an action. Area effects, such as some spells, target entire melees, which includes all combatants participating in the melee. Ranged weapon attacks may not be made against specific targets in a melee. Instead, the target is determined randomly and then resolved as normal (attack roll and so forth). This abstraction represents the chaos of battle. Random targeting does not apply to ranged spells with individual targets, however. For example, a black mage may target a specific melee combatant with the shock spell. Characters that use ranged attacks or cast spells while in melee must succeed in a dexterity saving throw or take 1d6 points of damage. Concealed characters may take an action with surprise and may not be the target of individua effects. Concealed characters may, however, still be affected by some area effects, depending on the nature of the effect and how the character is hiding. Characters at ranged position may attempt to hide. This requires a stealth check. If the check is successful, the character becomes concealed. Concealment is not always an option. This is dictated by the environment. Some effects allow the detection of concealed characters (such as spells of the heightened senses of some creatures). Fleeing from combat is only possible from ranged position. Characters in melee must first retreat to ranged position (this is an action). When in ranged position, a character may spend an action to leave the combat, assuming there is an escape route. Any character at range is drawn into melee if subject to a melee attack (whether or not the attack hits). Melee attacks may be intercepted by other characters or effects, allowing retreat. See pursuit for handling situations where enemies attempt to give chase. Most of the time, a single melee area is sufficient to represent an armed struggle. However, there are cases which require the consideration of multiple melees, such as an adventuring party being attacked from both sides in a hallway. Large open spaces may also sometimes demand the use of multiple melee zones which could potentially merge and divide based on game world circumstances. The melee/ranged abstraction is meant to structure combat in a way that logically represents the chaos and risk of armed struggle, and may be adjusted on an ad hoc basis as needed by the referee. 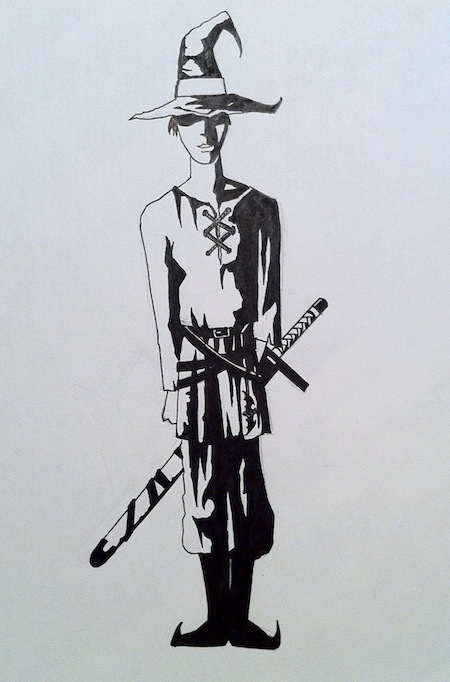 This entry was posted in Rules and tagged combat, JRPG Basic on July 11, 2013 by Necropraxis.